Preheat oven to 400 F with popover pan in the oven. Whisk eggs in a bowl. When well scrambled, slowly add the warm milk as you whisk. Sift the flour and salt. Slowly add to egg mixture, whisking as you go until mixture is smooth. Remove popover pan from oven and fill each mold 3/4 full (about 100 G). Sprinkle about 14 g of the cheese over the top of each. Return to the oven. Bake at 400F for 20 minutes. Without opening the door, reduce the heat to 350 F. and continue baking for 25 minutes more. Remove pan from oven. 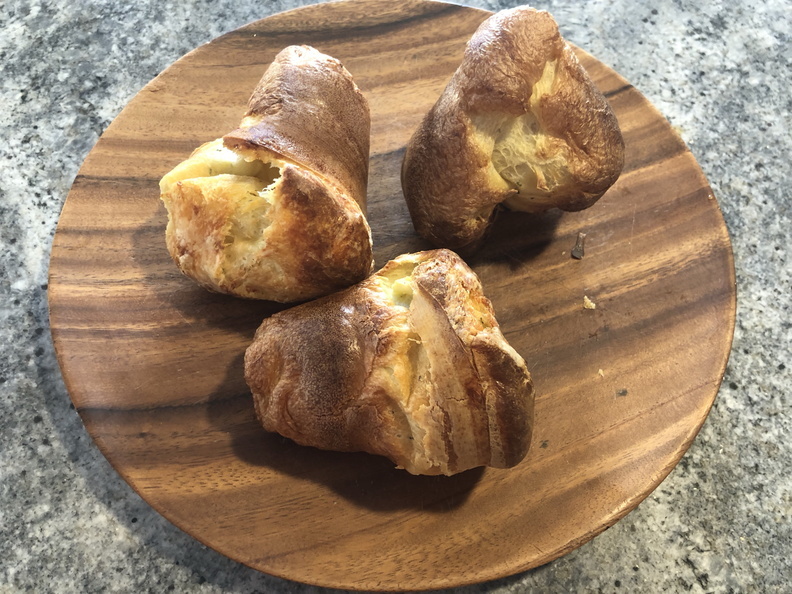 Popovers should be browned and puffed up. 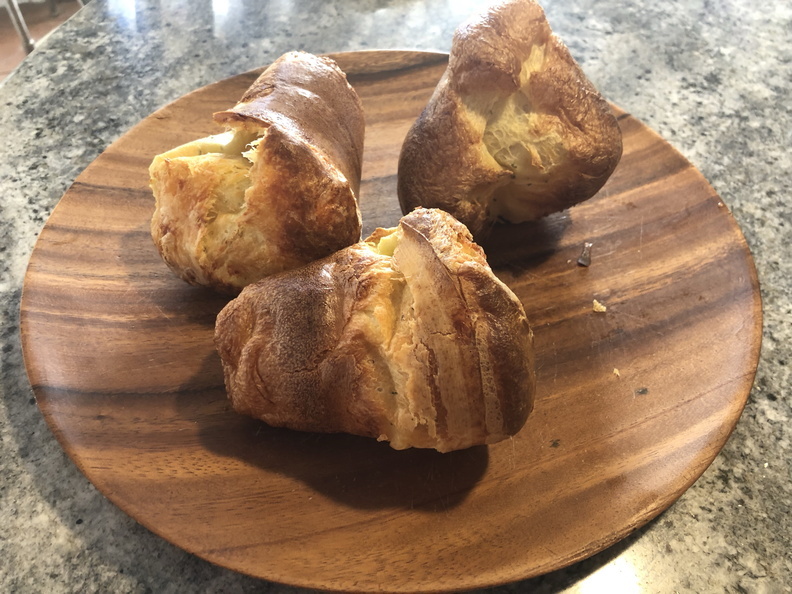 Remove popovers from the pan.